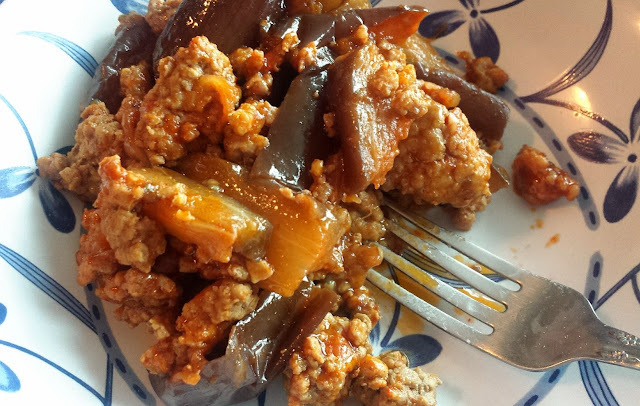 Pictured below is a dish I grew up eating, it's a spicy eggplant stew with minced pork. 1. Brown meat with the soy sauce. After meat is about 60% cooked, add the cooking wine. Once the meat is cooked, drain the browned meat in the strainer. I usually take an extra step and run it under hot water to clean off the extra grease. 2. 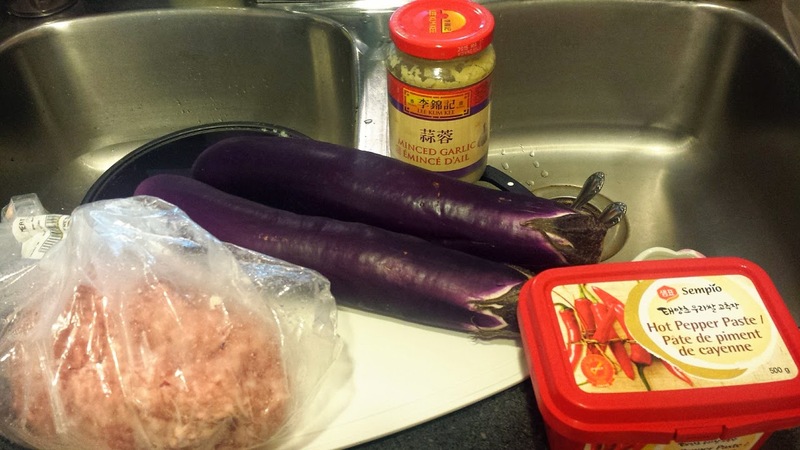 Blanch the eggplant until it becomes translucent. Careful not to overcook it or it'll turn to mush when you stew it later. Drain the eggplant. 3. Heat some oil in a large pan, and brown the garlic. 4. 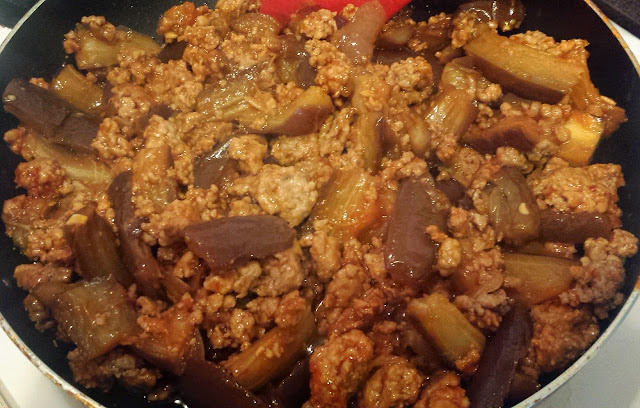 Add the pork and the eggplant in a large pan and mix well. 5. 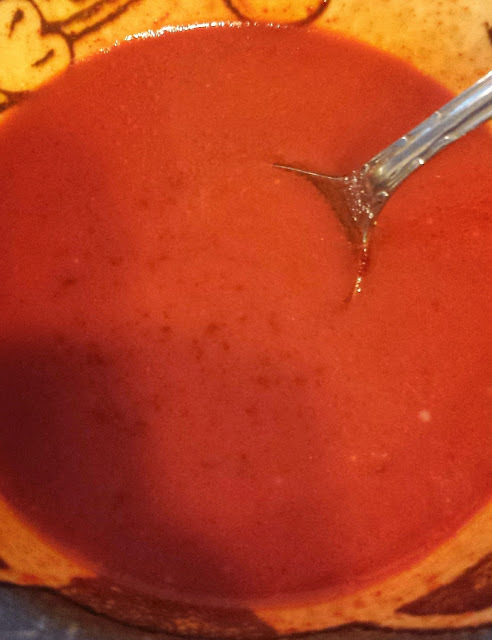 Take your red pepper sauce mix (should look like below) and pour it all over the egg plant mix. 6. Continue to stew for another 10 minutes until the flavors incorporate fully and the stew thickens up. Your finished product should look like below - serve it with rice and enjoy! !